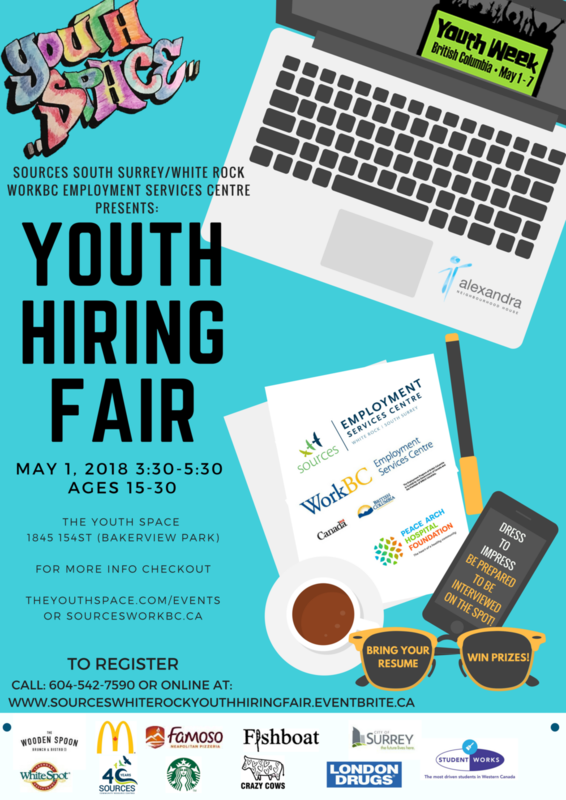 The fantastic staff at sources WorkBC have secured 10 AMAZING employers to come out to The Youth Space for this event. Come dressed in your best and prepared to be interviewed on the spot. EXCITING UPDATE: Coast Capital Savings awesome staff are coming out to The Youth Space April 24 @ 3:00 pm to do some mock interviews with youth in space. Come get a first hand look at what employers are looking for during an interview. Keep an eye on our blog for key tips to rock your interviews!